Going to this show felt a bit like I was on my way to finally meet someone I'd been having deep conversations with for months online. 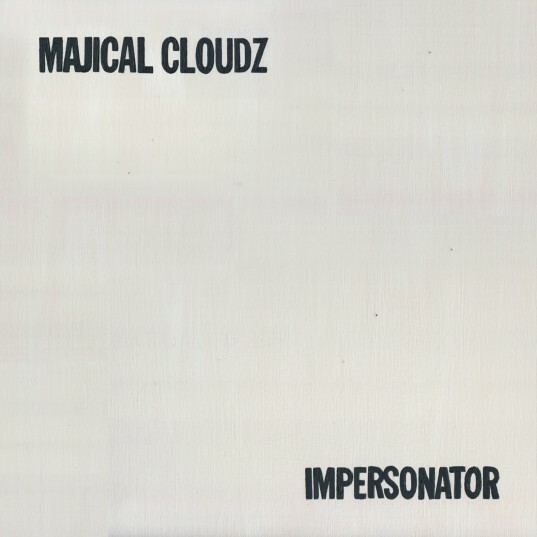 Montreal's Majical Cloudz dropped their album "Impersonator" in May and we've been going steady since then. My opinion of it evolved rapidly after putting it into heavy rotation. The first couple listens I was conflicted. Its minimalism drew me in, but it also challenged my ability to sit and focus. The music transported me somewhere, but I couldn't figure out where I was. Then, one night while cursing the Sandman being late again, this album revealed its beauty. I felt a sense of peace wash over me. Like a week alone at a cabin devoid of modern technology, the record's open spaces force you to slow down and look in the mirror. At first, it feels uncomfortable, as you fumble for something to distract you. It's an extended face to face conversation with strangers and no smartphone to reach for. 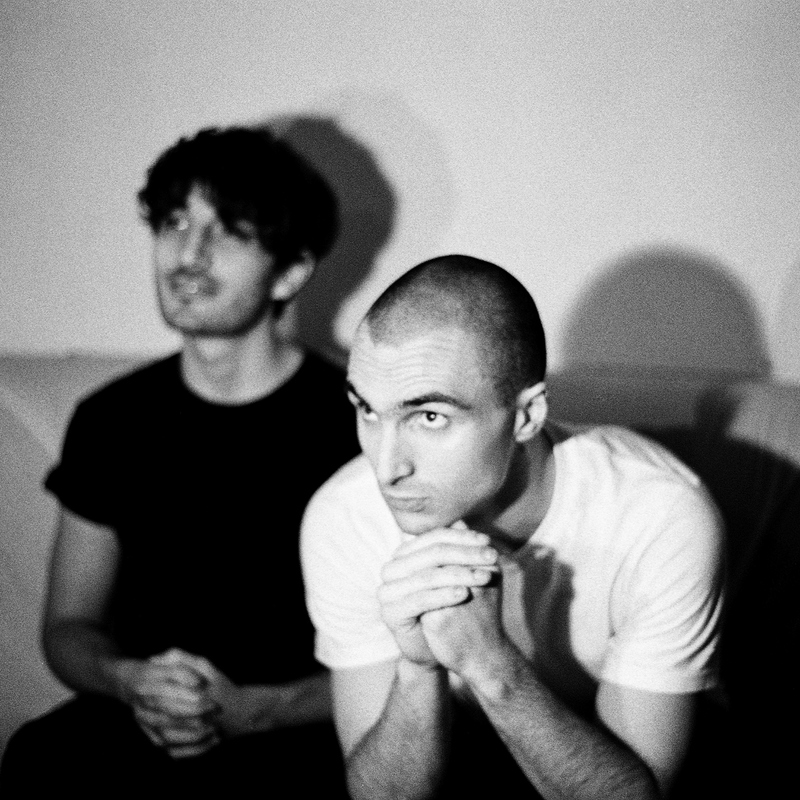 Stripped of all hipness and fluff, Majical Cloudz force you to bare your soul as they do the same. I have no clue if this was the intended impact or just what comes naturally to the Canadian duo, Devon Welsh and Matthew Otto. 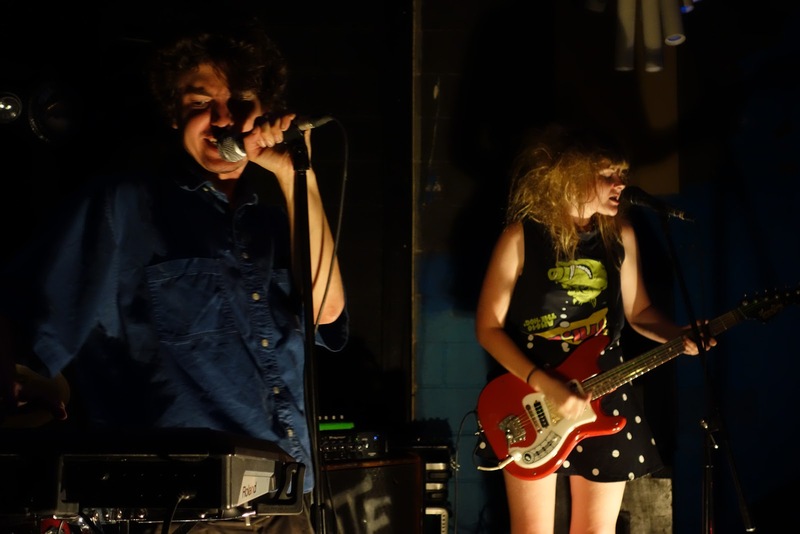 Whatever the case, their debut album is one of my favorites of 2013. Opening for the Cloudz was a band called Moon King from Toronto. Had never heard of them and they were surprisingly good. 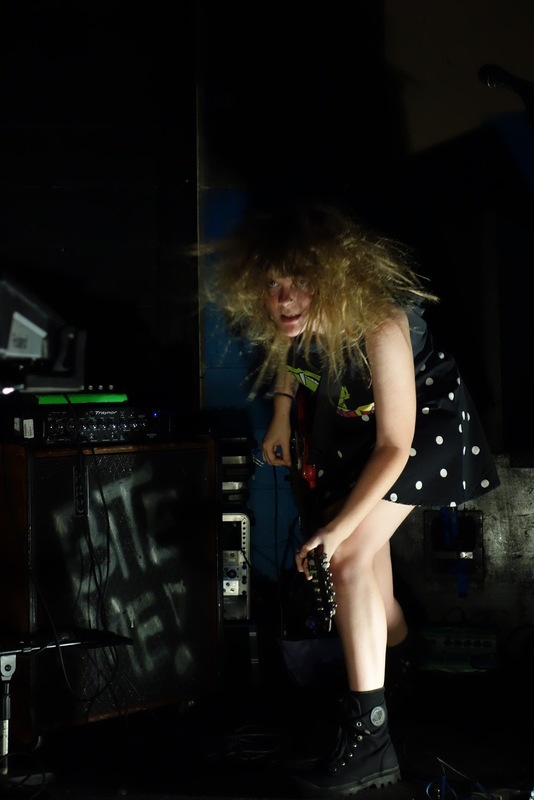 Big sound, big hair, and big crowd favorites. Will be keeping an eye out for them. Next up was the main event. Holding down stage left, as usual, I camped out with a pair of cold ones and took it in from close. For over an hour they weaved their way through songs from "Impersonator" and a handful of new songs. Devon warned the crowd before he started singing that he was suffering through a cold. Here and there his voice fell short, but overall his pipes sounded great to me. As a performer, his delivery was intense and focused. He clenched the mic and stiffly bobbed his head. He stared at the audience, only occasionally closing his eyes to focus on the notes he reached for. In between songs his banter was awkward and playful. The sold out crowd cheered him on and let him know they were on his side. He rewarded their adulation by inciting them to pogo during their performance of "Mister". "You'll seriously make my dream come true if you join me", he said. Sure enough, the crowd bounced themselves into a borderline mosh pit as Devon and Matt delivered the goods. It made for one of the more surreal moments of any show I've seen all year. Just listen to the track and see what it incites you to do. Losing your mind like a molly filled undergrad isn't a likely outcome. But hey, the crowd loved it. Maybe the duo's desire to get the crowd moving is a sign of where they're headed with their next release. It will be a daunting task trying to improve on what they established on their debut. 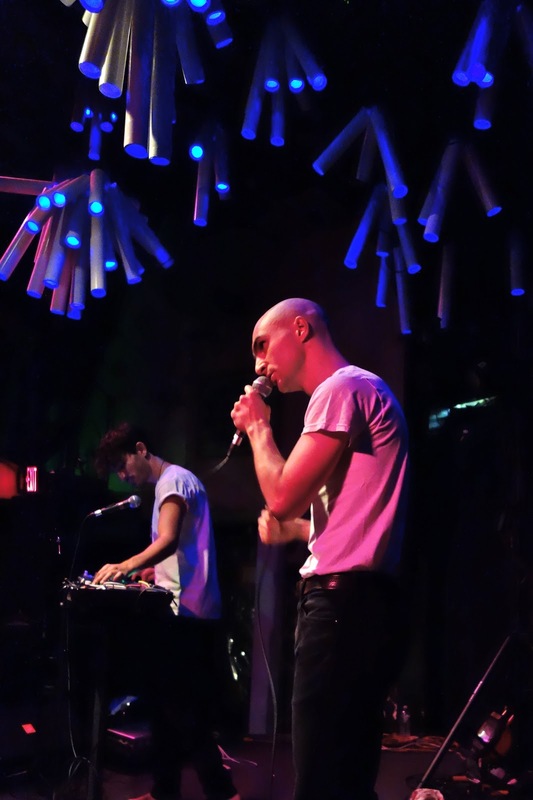 Overall, the Cloudz performance at Glasslands fell just short of great. Meeting them after building them up in my mind for so long likely set the bar too high. Oh well. Still a solid show. Unfortunately, photography wise, there wasn't much to see, thus the single photo above. Plus, I just wanted to take them in. I highly recommend giving "Impersonator" a chance in your rotation. I'd be shocked if you fell for it immediately. Give it time to work its majic and it may become a favorite of yours too.